The Colline du Chateau (Castle Hill) is the imposing hill that overlooks the city of Nice France. 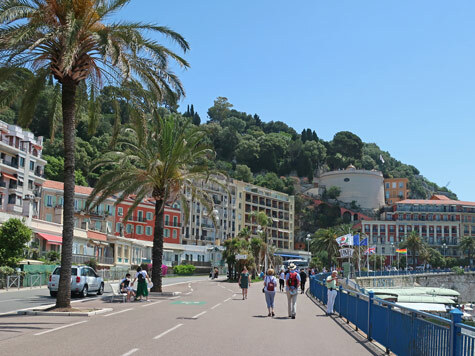 Visitors to Nice can enjoy a panoramic view of Nice France, the port, the foothills of the French Alps from the Colline du Chateau. Although the fort no longer exists, there is a playground and cafes on the hilltop. Visitors can either hike up the hill or pay a euro to ride the elevator to the top. The tourist train also makes a stop at the summit. Castle Hill is situated near the Mediterranean sea between the old town and the Port of Nice.